Many new crafter's are swamped with the amount of stamping products available so here's a quick guide to the different types of stamps to help you get started. 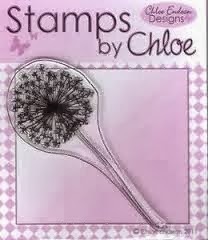 Clarity Stamps designed by Barbara Gray, they are clear stamps. Single stamps are nearly always pre-mounted on an acrylic holders, but they can also be peeled off if required. 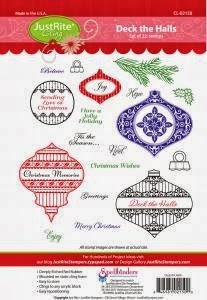 Un-mounted rubber stamps sheets have several stamps which you cut round the edge and mount yourself either permanently onto an acrylic block or on to EZ Mount Foam which allows you to easily peel off on and off your block. Sheena Douglass usually mounts her stamps on to Rock-a-blocks with Stick and Spray adhesive. Un-mounted clear stamps are usually stored between 2 sheets of acetate, they simply peel of the sheet and you apply them to a similar sized acrylic block. If they stop clinging simply clean the back with some warm water and they will be as good as new? Just Rite Cling Stamps are pre-cut rubber mounted on to foam "cling" to attach to your acrylic block. More Short Guides will follow soon......including a guide to ink pads and adhesives.